Log in to view our open competitions and online reservation service. Carne in North Mayo on the West Coast of Ireland lies in magnificent unspoiled sand dunes overlooking Blacksod Bay and the wild Atlantic Ocean near the town of Belmullet. 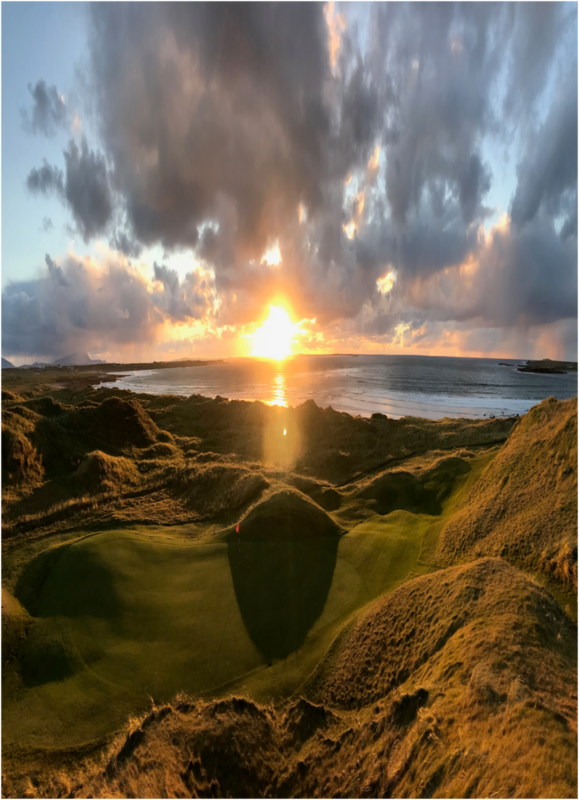 Discover Erris in North Mayo, an area that is famed the world over for its golf course and white sandy Atlantic beaches that stretch for miles, its bountiful wildlife and warm welcome. Carne Golf Links was the last links course to be designed by the late Eddie Hackett and it is now believed by many who have played it to be his greatest design. The development of Carne Golf Links has caused little disturbance to the wild and ancient landscape. Tees and greens occurred naturally and very little earth moving was involved in the course construction. There are some breathtaking views over the Atlantic and the legendary islands of Inis Glóire and Inis Géidhe.